Product prices and availability are accurate as of 2019-04-20 08:19:28 EDT and are subject to change. Any price and availability information displayed on http://www.amazon.com/ at the time of purchase will apply to the purchase of this product. 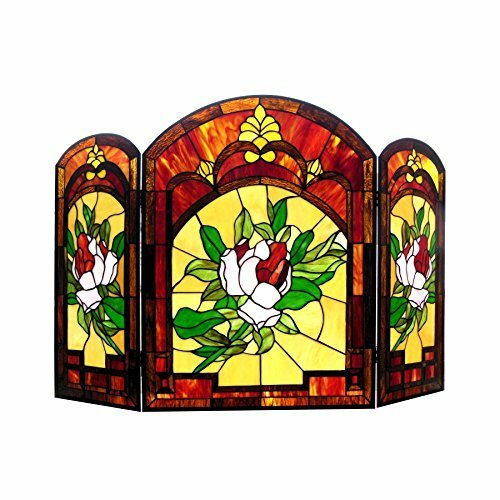 This Tiffany style Victorian/floral design fireplace screen features 482 hand cut pieces copper-foiled glass in shades of red, green and amber. 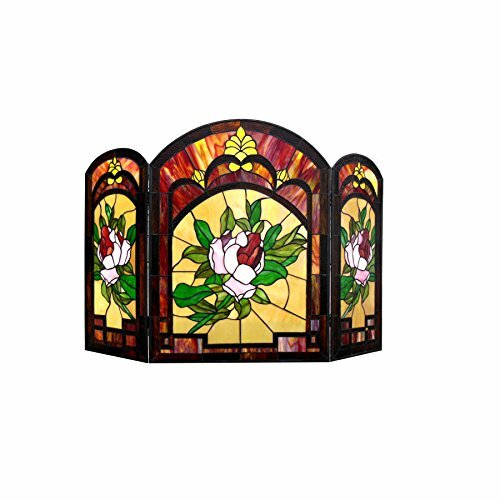 This fireplace screen will add warmth and color to any room as well as complement many decors. Dimensions: 28.5 inches high x 42 inches wide.